The Athlete’s Foot is a retailer of athletic footwear. This chain is one of the world leaders of athletic footwear retailers, found in countries all over. It has been featured in many different publications, being honored for their excellent in customer service and products. For information on The Athlete’s Foot application, there are details found below. The first The Athlete’s Foot store was opened in 1971 in Pittsburg, Pennsylvania by Robert and David Lando. When it opened, it was the first retail store that specialized in athletic footwear. It would later become the world’s first specialty athletic footwear chain. By 1978, it had over 200 locations within the United States, and also opened its first international chain in Adelaide, Australia. In 2012, The Athlete’s Foot was acquired by INTERSPORT International Corp. This company is largest sporting goods retail group in the world. They are now headquartered out of Bern, Switzerland. There are around 430 stores across 25 countries. Some brands that you can find here are Nike, Adidas, New Balance, Vans, Converse, Puma SE, and Asics. This company takes fitness very seriously. They want to ensure that customers have exactly the right equipment that they need in order to achieve their fitness goals. They have high standards for their products and even higher standards for the quality of employees. 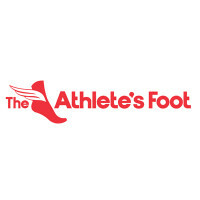 The Athlete’s Foot has been continually awarded for their excellence in customer service. There are both corporate office opportunities and retail level positions at this company. This is a company that shows its appreciation for their employees by giving them opportunities to advance their job into The Athlete’s Foot career. The retail positions provide someone a way into the company in order to move up the ranks. Retail positions include sales associate, supervisor, and store manager. The corporate office has different locations to help manage all of their stores. The corporate office has positions available for most skills and experience to find something that works for them. The corporate office may also have some perks that the retail locations may not have. Some corporate positions include merchandising and planning, buyer, and marketing. How old do you have to be to work at The Athlete’s Foot? A person must be at least 16 years old in order to work here, and able to work in an entry-level position like sales associate. For higher level positions, there may be age requirements, as well as requirements for education or experience. The Athlete’s Foot offers benefits that are similar to those found in the retail industry. A person’s eligibility may depend on the hours worked weekly. Some benefits include paid time off, medical insurance, dental and vision plans. Other benefits include job advancement, employee discounts, and flexible hours. Other benefits can vary depending on location. Hours of operation are usually Monday through Saturday from 10:00am to 9:00pm and Sunday from 11:00am to 6:00pm. Hours may be extended during the holiday season to accommodate those doing holiday shopping. Some holidays may also cause closures for the store. For more information, you can contact your nearest location for hours of operation. Sales Associate- The sales associate is responsible for assisting the customers. They can be found on the store floor, answering questions about products and finding the right shoe sizes in back for the customers. They will need to be able to size a customer’s foot, and should have knowledge of the products. The sales associate will also check customers out at the cash register. A sales associate may earn minimum wage. Supervisor- A supervisor will also be out on the store floor assisting customers, sharing many of the same duties as the sales associate. They will also be responsible for opening or closing the store, depending on their shift, and managerial duties when there is no other manager on staff. They will perform any other tasks the manager sets forth. A supervisor may earn around $14 per hour. Stocker- A stocker is responsible for restocking shelves as needed and ensuring that they have the proper amount of items in their inventory. They will be required to do heavy lifting, and may also work overnight shifts in order to prepare the store for the day. A stocker will usually earn around $9 per hour. Store Manager- The store manager will answer to their district manager, and must meet the required sales goals. The store manager is also responsible for recruitment, marketing, and inventory of their store. A store manager will ensure that the customers are happy with the service and products they have receive in their store, and handle customer issues as they arise. A store manager may earn around $40,000 a year. During The Athlete’s Foot job interview, you may come across a few of these questions. What makes you want to work here? You should consider reading up about the values and history of this store. The interviewer wants to know what specifically has drawn you to this company. You can discuss which values you feel you share with this company and anything else that has inspired you to work here, like benefits or fun working environment. What are your strengths? The interviewer is trying to see what makes you stand out from this company and how you would benefit them. This is the time to really highlight any strengths that you feel would be beneficial to this company. What do you enjoy doing for exercise? This company sells athletic products, and is looking for people who has some knowledge on the products sold here. If you are particularly athletic, discuss what you do to stay in shape, whether it is just running or a few different ones that you enjoy. You may get bonus points for mentioning your favorite brands for these activities and why. What do you feel your biggest weakness is? Being able to identify your weakness is important because it shows the interviewer that you understand your deficiencies and know how to overcome them. Honestly discuss your biggest weakness and your techniques for overcoming it. What type of shoe would you recommend to a runner? Some brands excel better than others at different activities. The interviewer is trying to see if you have any knowledge about these items. You may want to research in preparation of this question. Discuss a brand that is known for great running shoes and why that is a good option. If you were curious about how to apply at this company, you will want to fill out an application form at your local store. The only The Athlete’s Foot jobs online site is for the Australia area. You will not be able to find downloadable applications or printable applications online. There is no place to apply directly online unless you live in Australia. You will not be able to find the job descriptions and responsibilities on the company website. For information about the requirements and descriptions of positions, you can inquire within the store. When you fill out your application form, do not forget to fill it out in its entirety. You will also want to submit a resume as well. The process usually only takes a few days to complete, but if more than a week or two has passed you can contact the location that you applied at. You can speak to a hiring manager to see if they are hiring for that positions still and to check the status of your application. Dressing professionally can go a long way for your interview. This will give you an important first impression that will dictate how your interview will go. Preparing for your interview by asking yourself potential questions can also help you have a successful interview. This will help you walk into your interview with more confidence, which will make you more articulate and impress the interviewer. Shoe Carnival: Visit the Shoe Carnival application. Mary Kay: See our resource page for more information on Mary Kay careers. Off Broadway Shoes: Off Broadway Shoes offers opportunities for both, beginners and experienced roles. Foot Locker: Foot Locker offers opportunities for both, beginners and experienced roles. World Gym: See this page for jobs at World Gym.